This blog is dead :-O, so why not create a small entry with the latest book I’ve read that I enjoyed more than usual? Quite an inventive horror story. I’m not a big horror reader (mostly Stephen King, some of Poe and Lovecraft), but the theme was one of what I believe is classic cosmic horror (Leviathan and incomprehensible things) with some original sprinkles. The book is split in two stories. What I would consider the main story (Dan and Abe), and a long flashback (Rainer and the origin of the evilness). And this seems to be quite divisive between the readers of this book. I’m leaning on the side that the main story is fantastic, while the flashback takes too long to develop and eats half of the book for no added benefit. That nitpick apart, the story of Abe the widower and how meeting Dan transforms his life, for good and bad, is an amazing one, and John Langan knows how to paint the scenes beautifully. Let me tell you, that there’s a couple of passages that gave me goosebumps, and if I have to go take a leak at night my brain ensures that I remember them. What to say about Hyperion. It’s a Sci-Fi book about 7 pilgrims with 6 stories in it. (Yes, there’s a story missing there, that’s not a typo). I have this book since 2014 but I did not dare to start it until recently. I excuse myself telling people that it is a long book about weird tales, but there’s no excuse, you should recommend this book to everyone, sci-fi lover or not. The different narrations range from impressive to breath taking, I don’t think I’ll ever forget Father’s Duré notes, or Weintraub’s sad account of his family’s misery. All the other are also well told, but as it happens, everybody will remember their favourites. Sometimes seems that Simmons gets over the top, but those are minor flops easy to forget. Be warned though, you may feel swindled when finishing it. Every pilgrim is set off to meet a mysterious god-like machine called the Shrike, but the book does not revolve around this adventure, but on the backgrounds of the pilgrims. So, at the end of the book, you know the same things that you knew back when you started sort of. Don’t forget that there’s a second book “The fall of Hyperion” (I’m reading right now), that may solve some of the mysteries presented here. The Welsh author did it again. It’s a skill, he can write a huge book that you can read in no time. It is the first book of a triology, following the lives of different people scattered around the world as the Great War develops. A soldier that comes from the Welsh mines, a russian that will become an important part of the bolshevik revolution, an english earl that has a lot of money and pride, an idealistic american trying to get the best outcome, a german that sees how everything crumbles around him, and a long etcetera. As it is usual with Ken Follet, those characters play different parts on the same story and their paths will cross multiple times in different places. The main story is about these fictional characters, each one representing an archetype of person from that time. At the same time they meld perfectly with real life people like Stalin, Churchill and Wilhem II to name a few. I am reading the second book now, “Winter of the world”, that continues with the adventures of those characters and their sons as the cherished peace comes to an end again. I am thrilled. Ceros y Unos. And other history books on computing. The last book I read is “Ceros y Unos” (ones and zeroes), a present from my sister for Sant Jordi (23 abril). This book itself is a compilation of the articles that can be found in libertad digital. If you feel that the topic is interesting but don’t like to read big/boring history books, this book is for you (and of course, you have to be fluent in spanish). It is just a pack of articles, that makes it the perfect book for a quick read in public transport, or the toilet :-P.
But at the same time it lacks part of the rigour of other books. I was not surprised to see that the book cites as references some books that I already read. This is a very interesting topic, so I would like to list 3 other books that I read in the past. This book is a light read that gets you up to speed in the topic. Miquel Barceló has a fluent writing that makes it very easy to read. And again, I think it is only in catalan and spanish. This is for me the best book I ever read on computing history. It is a long (488 pages) book where you can find the foundations of computing. It gives a lot of emphasis on the old computers of yesterday. Not a general picture, but a small period of one of the biggest companies. This book narrates the history of IBM and the Nazi regime. I think it never happened with any book. I took a flight from Barcelona to Amsterdam. I started it in El prat, and while I was in the train between Schiphol and Enschede I finished it. Read it in less than a day! 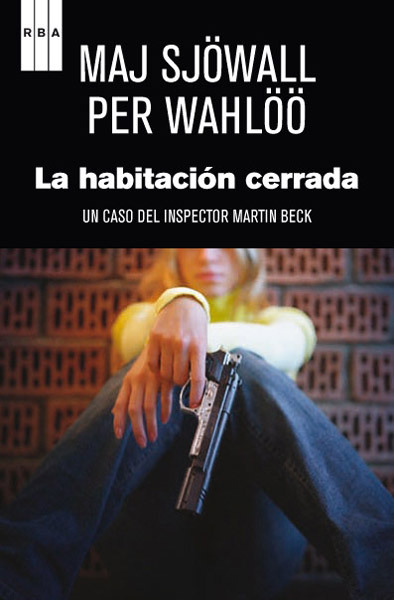 The 8th book of the Martin Beck series, and as most of the series an amazing book to read. Seems that I’m on a combo of good reads (Endurance, CODE and now Flatland). 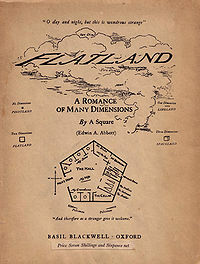 This is the story of a square living on a 2D world and how it becomes aware of the 3D world. Does not sound interesting? well, I think it is. The book was written in 1884 as a satirical novel on the Victorian stratified society, and an examination of different dimensions. Nowadays is still interesting, at least for the definitions on various dimensions. If you run into a printed copy buy it! is one of those novels that I would love to have in my shelf. If you are planning to buy any digital version, stop right here! There’s an online version in HTML at the Minnesota Science and technology center. Is not difficult to use Calibre or Online convert to obtain a nice ebook for your reader.